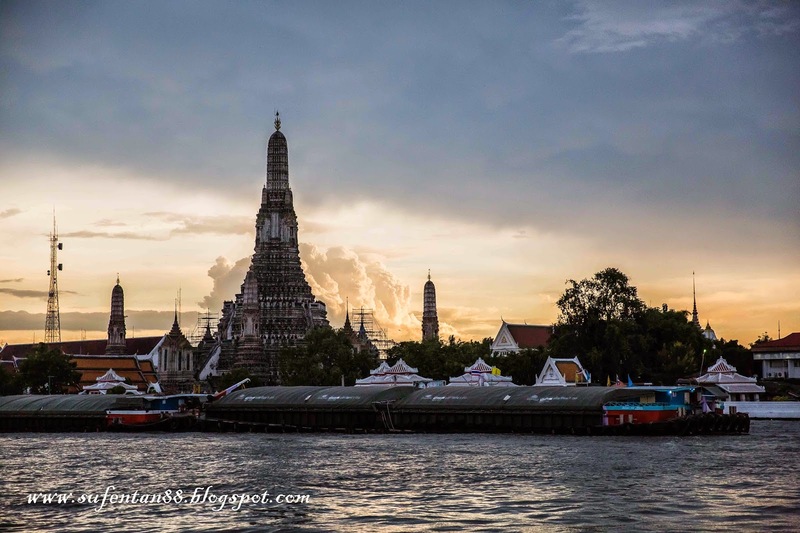 Wat Arun was listed as the top 10 must visit places in Bangkok and it is planned in our itinerary as well during our trip in Bangkok. 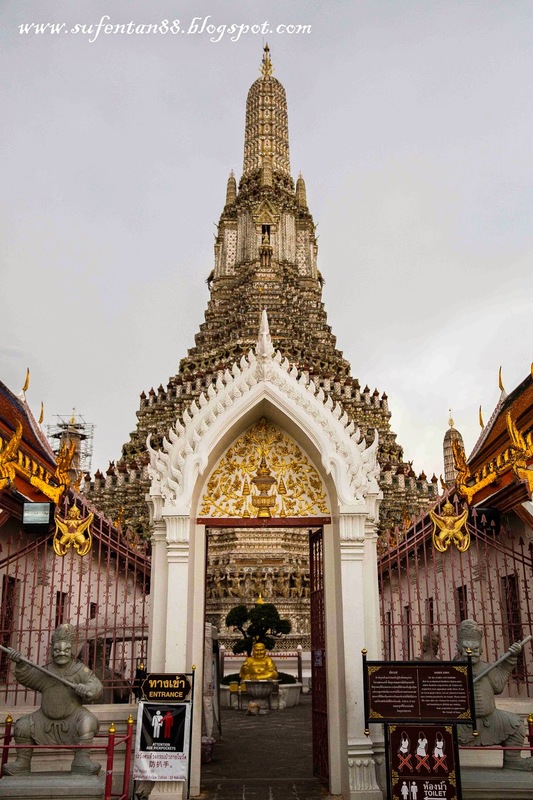 We were supposed to visit The Grand Palace and The Emerald Buddha Temple, however they closed quite early around 3.30pm. 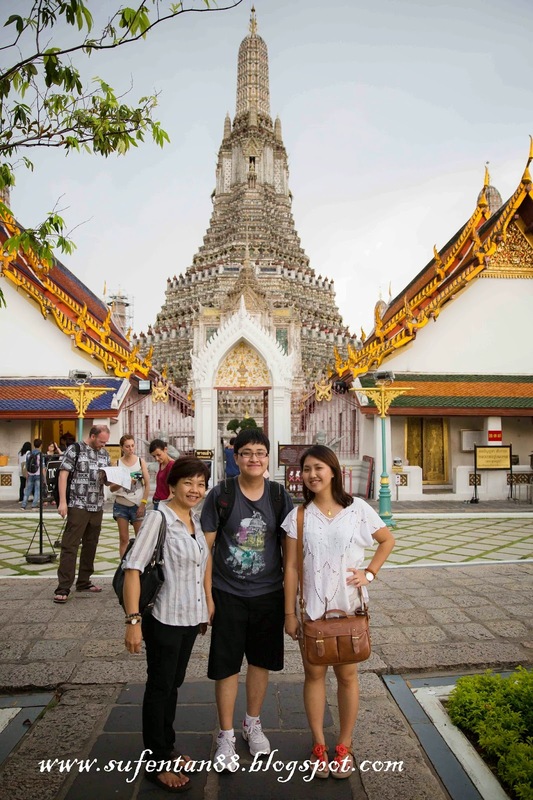 When we reached the pier is already 4pm therefore we head to Wat Arun instead. 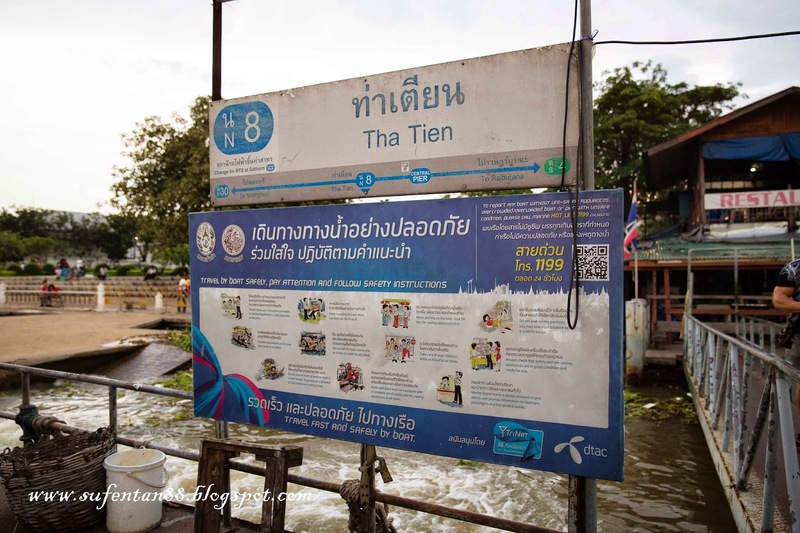 We took the BTS from National Stadium to Saphan Taksin Station (Silom Line). 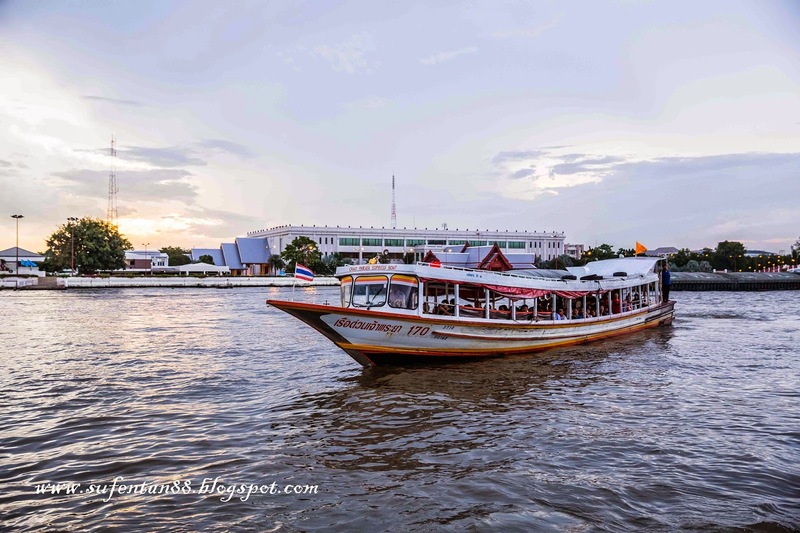 Once you reach, exit Platform 2 and take the Chao Phraya Express Boat to Tha Tien Pier (N8). 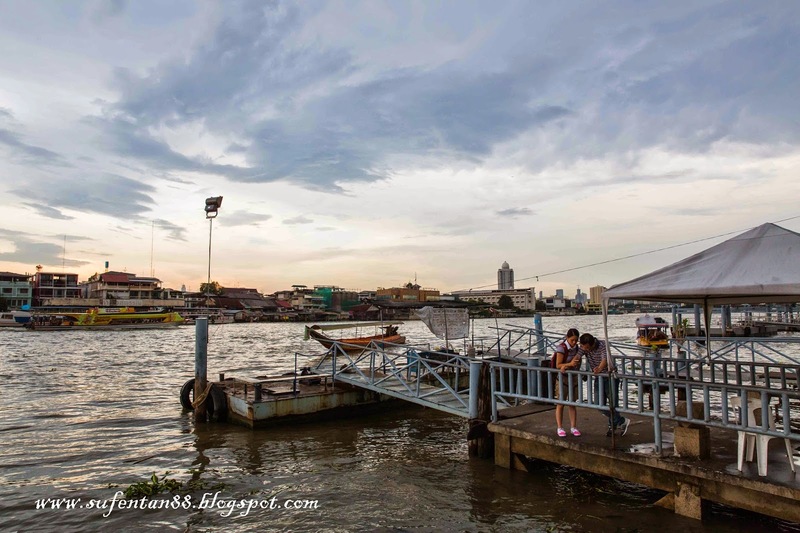 You need to take additional ferry from the pier to cross the river to the opposite. It was raining that day, the whole sky was gloomy and dark. 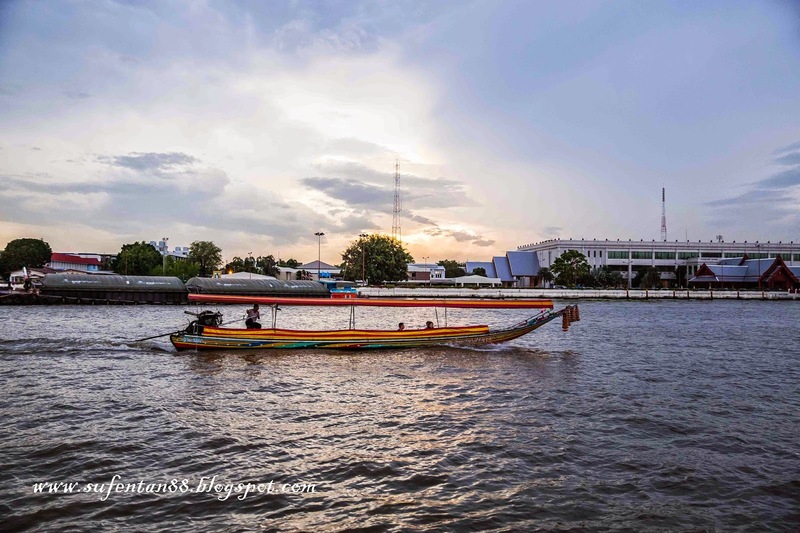 Luckily, we able to capture part of the sunset scenery. It will be superb during the sunset. 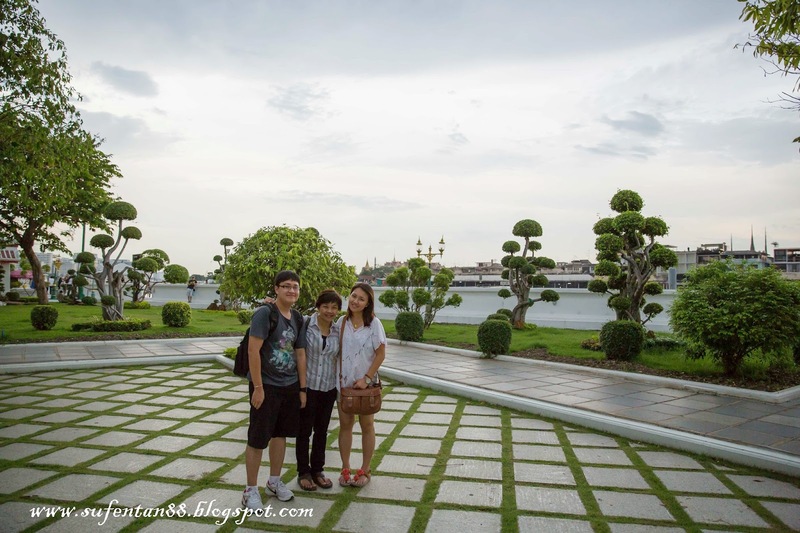 Entering the garden of Wat Arun is free admission. You will have to pay when you entered into the tallest building in that area. 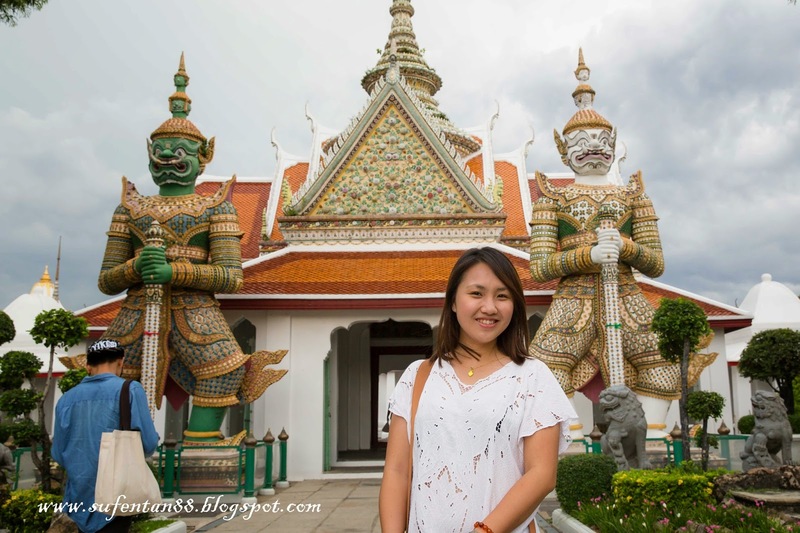 The ticket counter, you will need to pay 50 baht for entrance fee as foreigner. 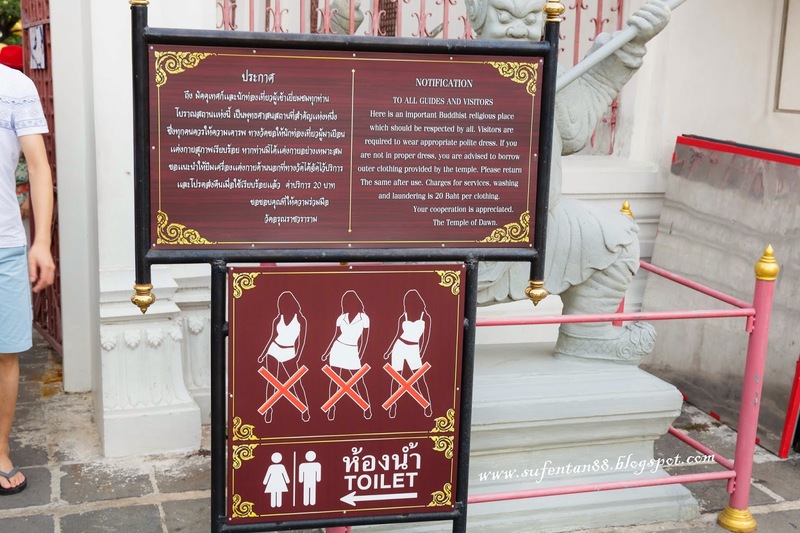 For ladies, please take note that no short or mini skirt are allow in the Wat as a respect. 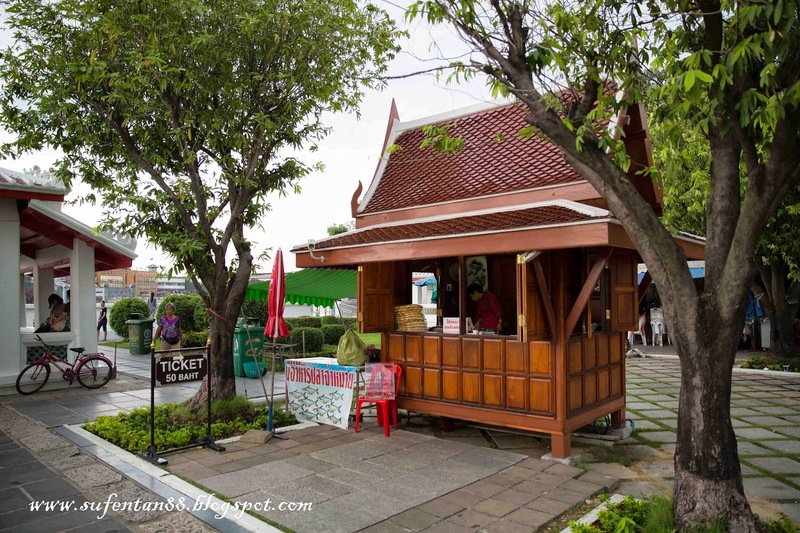 However, there is a stall at the entrance sells and rent sarong for ladies to cover. 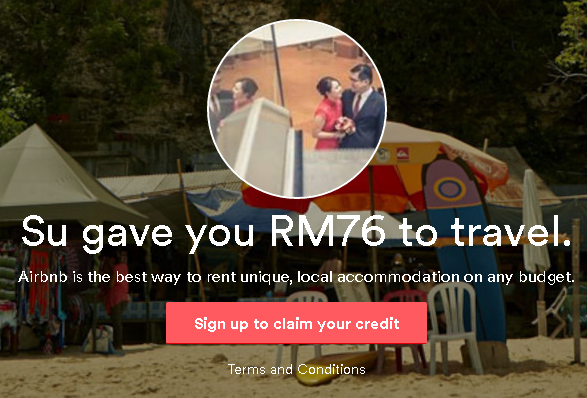 You will need to pay a deposit as well rental fee. Climbing up to the second level, it was so windy that day. For those who scare of height, do not recommend to climb as the staircase is quite steep and slippery. 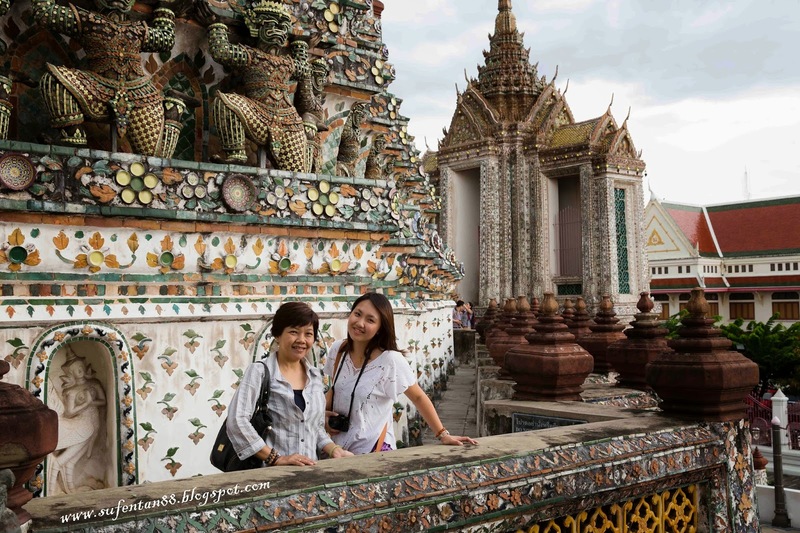 Mom and I managed to climb up to second level for some photo. We didn't go up to the last part as the staircase is too narrow and steep. My hero brother didn't go in because he too scare of height..oops.. The rain stop and we managed to capture some nice photo by the pier. For those who will have drowsiness on boat, better take you medicine before on board, the boat is very shaky. In addition, you will also need to jump from the pier into the boat as the boat can't go too near to the pier, it might bang into the wall. It is quite dangerous if travel with young kids. 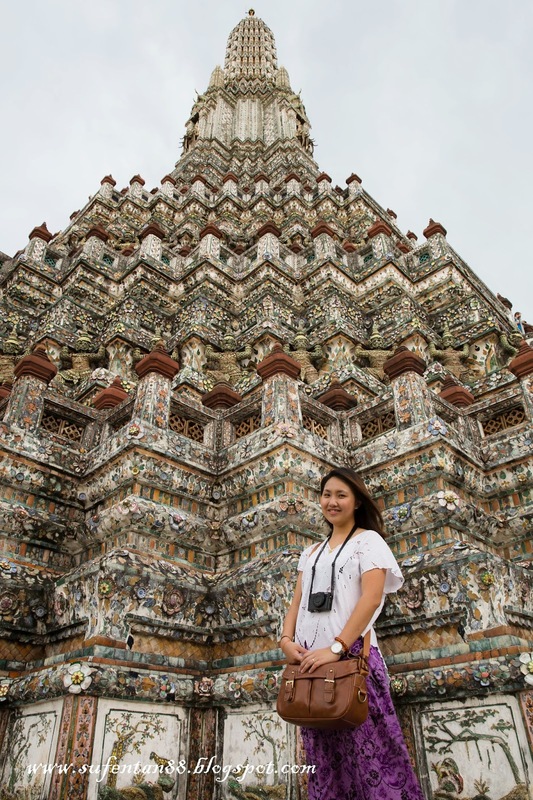 Whether Wat Arun should be listed in top 10 must visit place is really debatable. 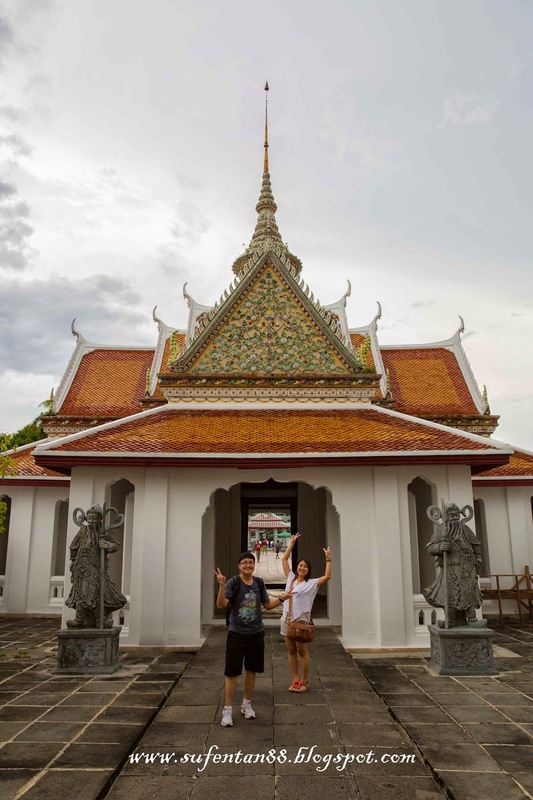 If you like to visit historical places, you will like it, if not you can give it a go.